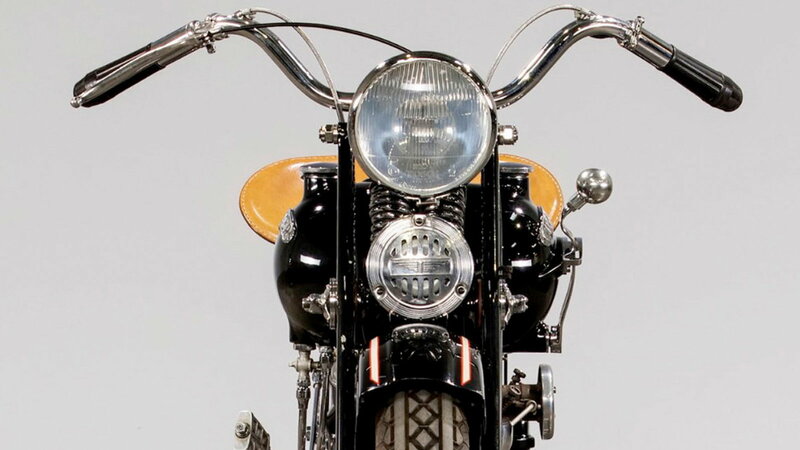 Daily Slideshow: Albert Crocker and Paul Bigsby could have changed the course of motorcycle history. 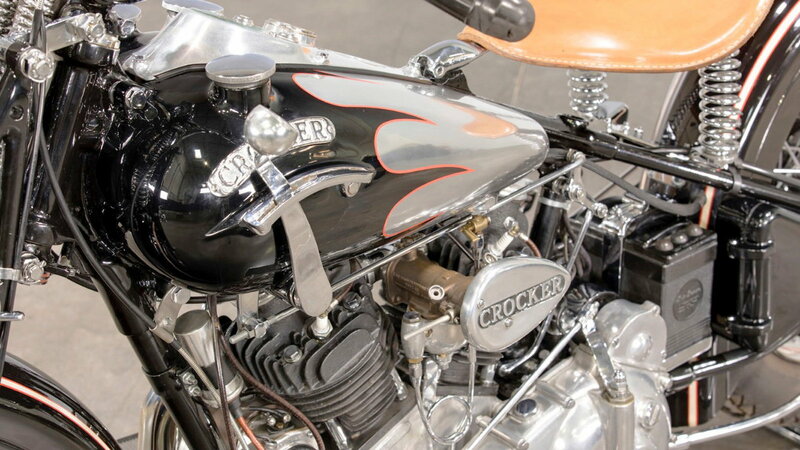 With just over seventy OHV V-twin motorcycles ever built, the Crocker is a rare machine. 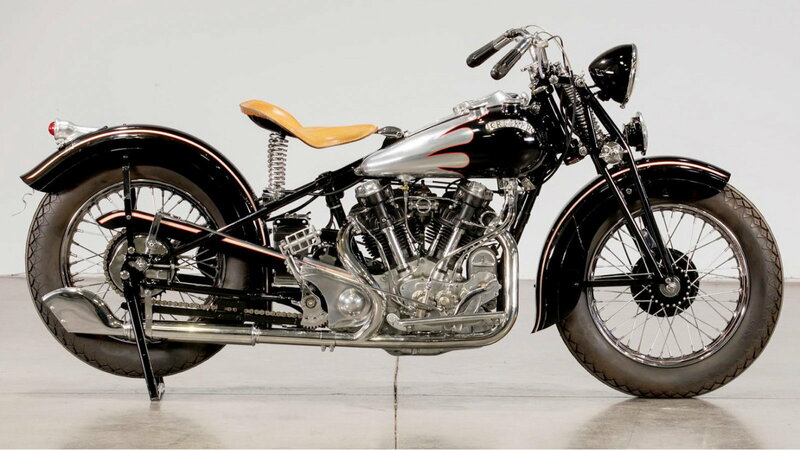 So rare that this particular restored 1939 Crocker Big Tank just recently sold for $704,000 at Mecum Auctions’ 28th Annual Vintage & Antique Motorcycle Auction Las Vegas. Holding a 1959 Idaho title, this Big Tank was acquired by the MC Collection of Stockholm in 2007, before it sold in 2019. Albert Crocker, an engineer, and former Indian Motorcycle dealer founded the Crocker Motorcycle Company. In partnership with Paul Bigsby, the company first built the 1933 Crocker Speedway, a single-cylinder 500cc machine that dominated Speedway racing. 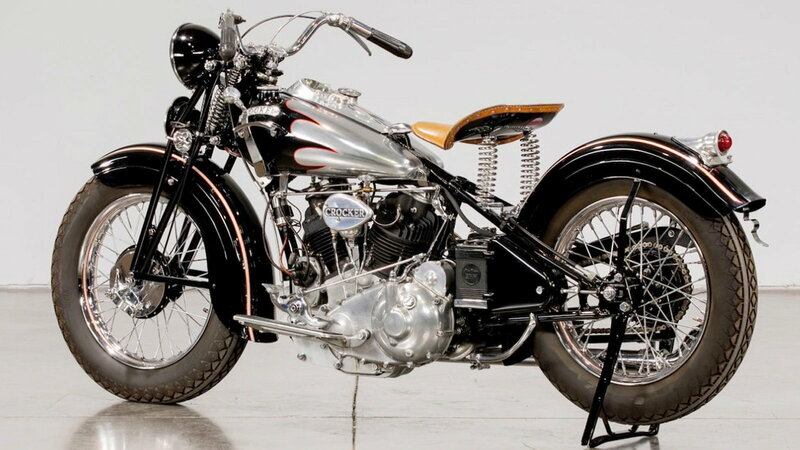 In 1936, Crocker turned his attention to building OHV motorcycles. Due to war effort demands, Crocker Motorcycle ceased production in 1942 and accepted a lucrative contact making parts for Douglas Aircraft. >>Join the conversation about this big tank classic Crocker right here in Harley-Davidson Forums. Two basic versions of the Crocker OHV engine were deployed. 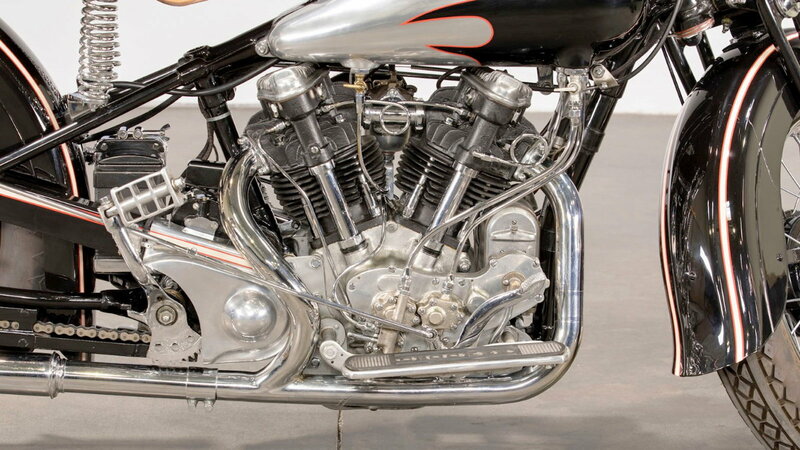 For the first two years of production, the hemispherical cylinder heads used exposed Harley-Davidson valve-train components and Indian timing gears. The early OHV motor had a nearly 'square' bore and stroke at 3.25" x 3.62" and was paired with an incredibly strong three-speed gearbox with cases that were part of the frame. There was no standard Crocker engine size. The OHV engine was offered in a range of 62 to 100 cubic-inch formats depending on the customer's preference. 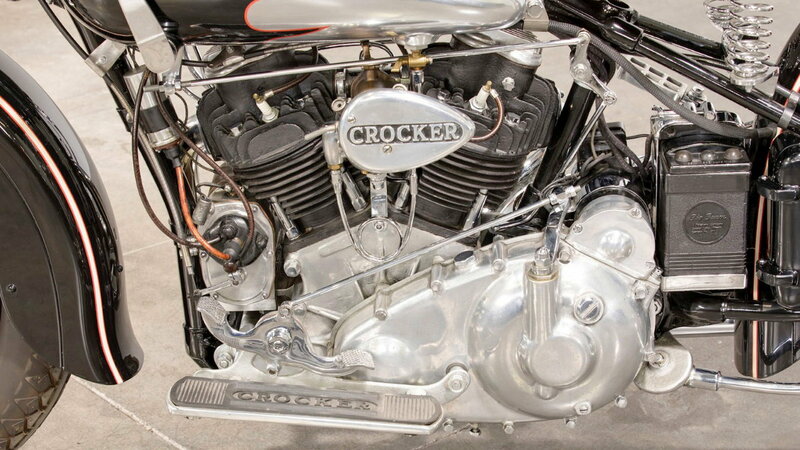 Starting in 1938, Crocker redesigned the 'Hemi' cylinder heads with Crocker-built parallel valves and enclosed springs. The 62 cubic-inch OHV motor produced upwards of 60 HP and could achieve speeds of a 110 mph — 15 mph faster than the Harley-Davidson EL. 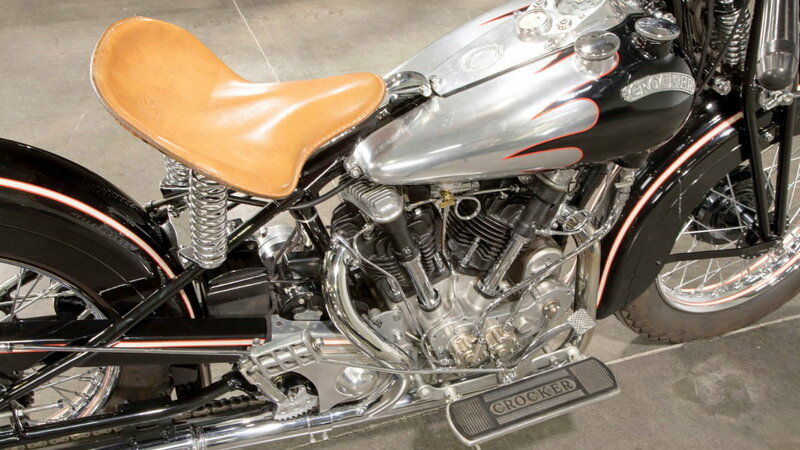 Along with the 1938 engine redesign, Crocker enlarged the 2.5-gallon cast aluminum fuel tank. Consequently, the first twenty-seven Crockers produced became known as 'Small Tanks,' and all subsequent machines became known as 'Big Tanks.' Despite a short, five-year production run, the heads were improved with two different style castings, and four changes were made to the parallel-valve castings. A common practice in the automotive industry, Crocker production was completed with parts from established suppliers. 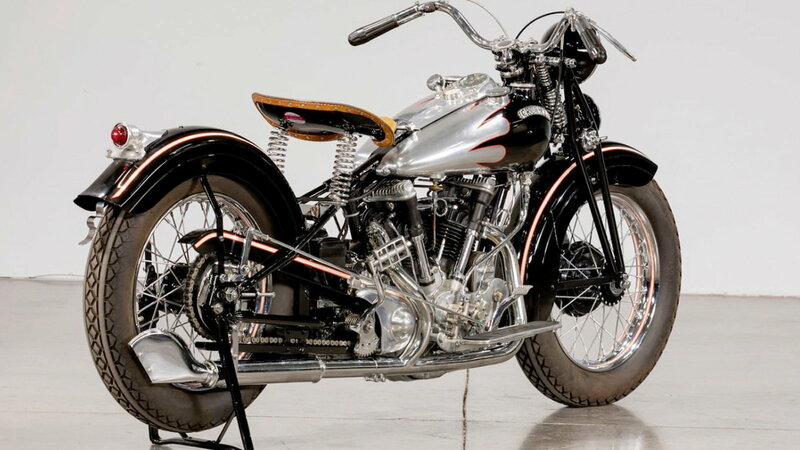 In addition to the early valve-train, the headlights were sourced from Harley-Davidson, Indian supplied the brake shoes, Autolite the electrics, Splitdorf the magnetos, Linkert for carburetors, solo-saddles from Messinger, and wheel rims from Kelsey Hayes. The motor and chassis castings were subcontracted and then machined at the Crocker facilities. Crocker was obsessed with engineering excellence and manufacturing. While his direct competition was Harley-Davidson and Indian Motorcycles, Crocker's contemporaries were the exceptional British Brough Superior SS100 and Vincent Rapide. Along with Bigsby, Crocker's intention was to not only build the fastest production motorcycle in the world, but also the strongest and best handling — something they arguably achieved. 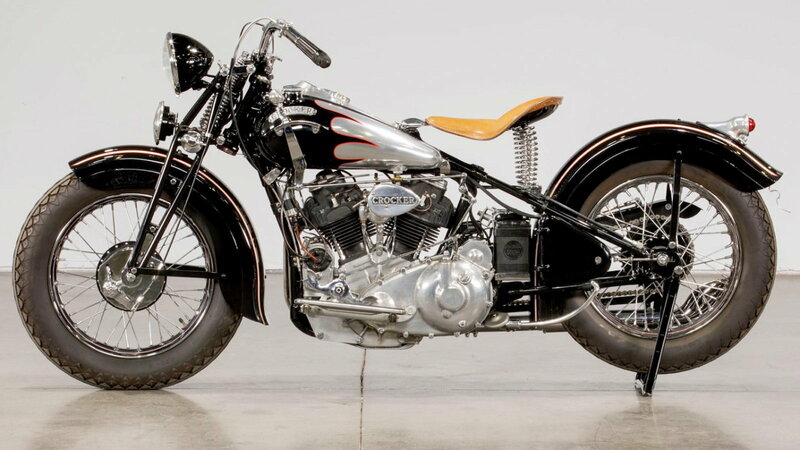 Among the myths that surround the Crocker was the infamous money-back guarantee if any Crocker owner lost a race to a standard Harley-Davidson or Indian. With forty-percent more power than any other motorcycle of the day, not one Crocker customer ever collected. The limited production run of Crocker motorcycles have made them all but inaccessible for most, except wealthy collectors — but this might not have been the case. Had it not been for lucrative wartime contacts, Crocker might have re-written motorcycle history. Over the last hundred years, over thirty American motorcycle companies have started, only to close. Some newer companies have managed to carve out a niche, but few fabricate their own engines. With Indian as the revived exception, of all companies from the 1900s, only one independent manufacturer remains — Harley-Davidson. The bike, btw, is expected to fetch between 400 and 500K at auction.